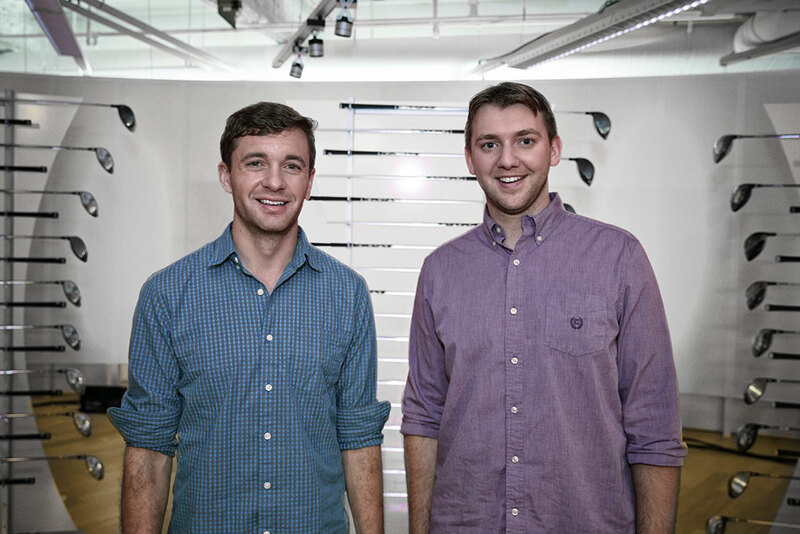 Mechanical and materials engineering alumnus Kyle Hanquist (left) and fellow University of Michigan engineering Ph.D. student Kevin Neitzel are one of the teams competing for the $500,000 top prize on The Golf Channel's "Driver vs. Driver." 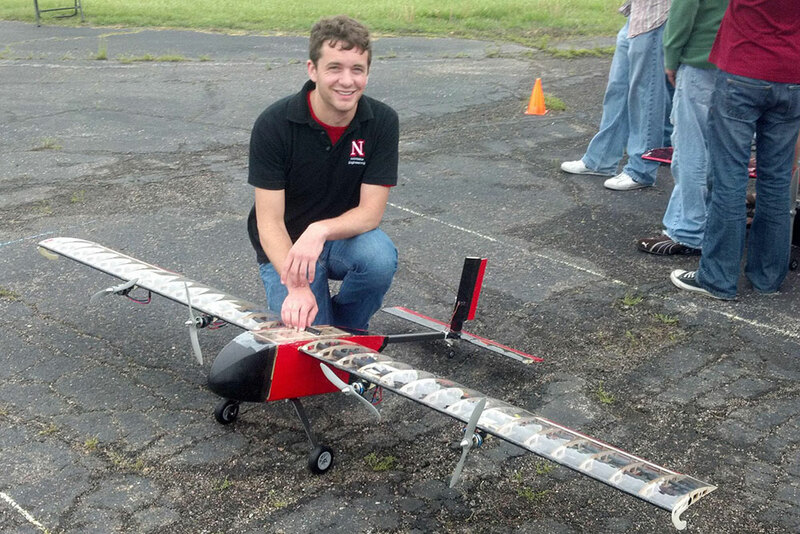 While an undergraduate at UNL, Kyle Hanquist participated in the Design, Build, Fly competition. Mechanical and materials engineering alumnus Kyle Hanquist is part of a team competing for the $500,000 top prize on The Golf Channel's "Driver vs. Driver." Combining a love for playing golf with an expertise in aerodynamics, Nebraska Engineering alumnus Kyle Hanquist and team member Kevin Neitzel have designs on winning the $500,000 top prize in the latest reality show on The Golf Channel. Hanquist and Neitzel -- who are both University of Michigan Ph.D. students and will compete on the show as "Team Michigan" – are among the 11 teams on "Driver vs. Driver," which premieres Tuesday, Oct. 4 at 9 p.m. and runs for seven episodes until the Nov. 22 finale. Viewers will follow the designers as they compete for the opportunity to have their driver design chosen for production by sporting equipment giant Wilson for sale in 2017 under its Wilson Staff brand name. Hanquist learned of this opportunity in a college announcement this past spring, but he and Neitzel originally decided the timing was not right. "We were leaving for a conference in Europe and thought, 'Too bad. This would have been a perfect opportunity. We could have done it,'" Hanquist said. "Then we're in Europe and decided to just do it anyway." After a bit of brainstorming, Hanquist and Neitzel decided to shoot an application video in an alley in Copenhagen, Denmark. That, Hanquist said, probably is what captured the attention of the show's producers. "That was kind of funny, and The Golf Channel loved it," Hanquist said. Their shared background of having worked at NASA's Ames Research Center in California gives the team plenty of cache. But adding in their individual backgrounds, Hanquist said, was also a key factor in convincing the producers. The 30-year-old Neitzel, a former lead aerodynamicist for Ford Motor Company, is newly married, and his wife is completing her medical residency in Kansas while he studies in Michigan. That means frequent trips back and forth. Hanquist, who is 26 and grew up on a farm outside of Central City, Nebraska, learned to play golf on the sand greens of Riverside Golf Course. He played alongside his father, riding in a customized golf cart – "Sort of a three-wheeled Harley Davidson with deer antlers on it," Hanquist said, and learned the importance of accuracy off the tee box. "Kevin and I, we both like to golf a lot, and one of our main selling points for the show is that we're not very good golfers," Hanquist said. "We understand some of the problems the average golfer has, like hitting the ball in the fairway with their driver and how important that is." That has led the team to use their aerodynamics expertise to create a design that would stabilize the club head. Hanquist and Neitzel have settled on a design learned from the aerothermodynamics of high-speed flight vehicles, like rockets. As such, Hanquist said, they've decided on including "an external feature," a fin like those on the tail sections of airplanes. But adding anything to a golf club that is approved for play in the United States isn't easy. The United States Golf Association has specific rules on how clubs can be designed. They include a prohibition on any external additions that rise more than 0.1 inches above the normal top of the club head. "We had to go back to what we know about golf and about engineering," Hanquist said. 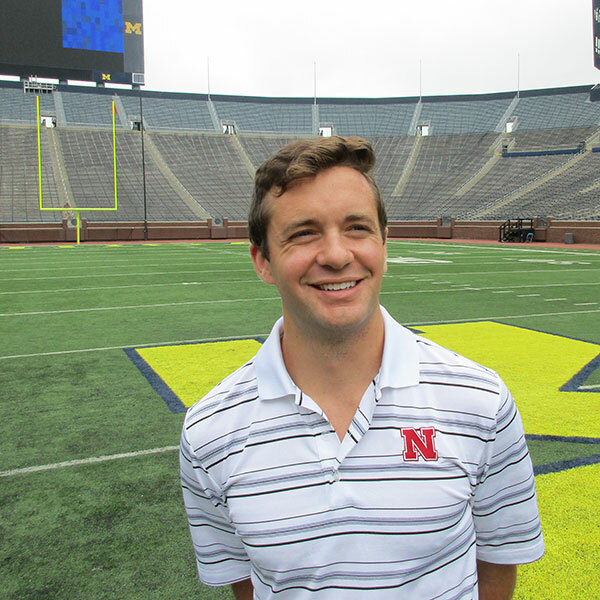 "What I learned at Nebraska in mechanical engineering classes guides us. "When you think innovation in golf, you think of changing from wood drivers to metal drivers. We're hoping our design will be that next thing. Wilson's hoping the winner of this competition will be that next thing as well," Hanquist said. Though the show finished taping more than a month ago and the winning design has been chosen, Hanquist isn't sure how the show will play out to the viewers. That's why he's eager to watch the premiere espisode Tuesday. "I'm doing a watch party at my place, trying to keep it small for now," Hanquist said. "For each episode, they shot like three or four days, so we don't know what they'll use and how they'll portray us. I'm looking forward to finding out."